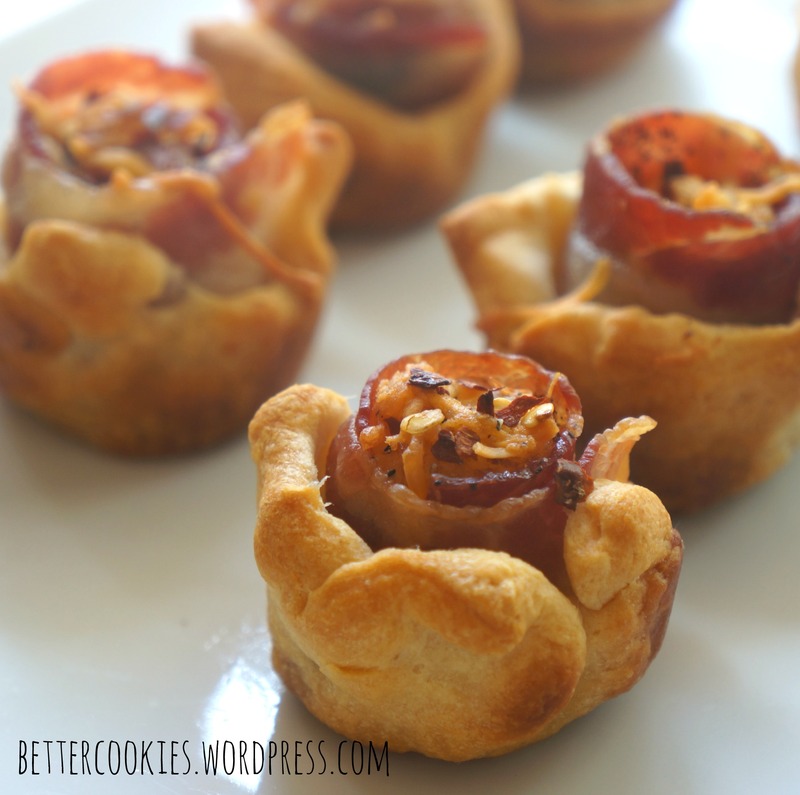 It’s been a while since I last did a bacon recipe, so I figured we can put our silly bacon hiatus to an end with these Bacon Tater Bites! If you’ve been paying attention, I’ve been trying to make Mondays more about weeknight grubs, where I try to share more savory recipe ideas. These super easy, 5-ingredient Bacon Tater Bites will hopefully be making their debut on your dinner table either as a fun party appetizer or after school snack! Somehow, two weeks have already past since I came back from vacation. I’m not quite sure where the time went, and I honestly have to say that I’m surprised that the biggest challenge to overcome coming back from a long break overseas is NOT jetlag. It’s your focus, and your rhythm, and willingness to let this truth set in: It’s time to get bakin’! Okay. I must admit that I’m having the most trouble with the very last one. I’m still putting my baking on hiatus, just cuz. But I did go back, way, way back, about a year back, to look at other recipes that I did but never got around to sharing them via this blog, and I think they deserve to get dusted off and re-see the light of the day. 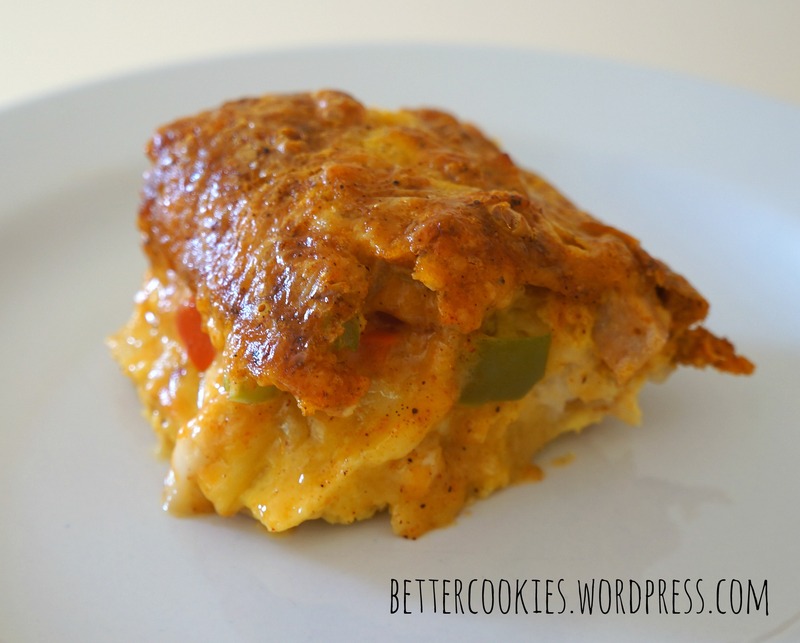 Starting with this Buenos Cheesy Días Egg Bake! If you’re into brinners like I am, this would be a perfect option! Heat oven to 375°F. In 12-inch ovenproof skillet, cook sausage, onion and bell pepper over medium-high heat, until sausage is no longer pink; drain. Remove mixture from skillet; set aside. In large bowl, beat eggs and cream. Stir in 1 cup of the cheese, the pepper flakes and sausage mixture. Separate dough into 8 biscuits. Cut each biscuit into 6 pieces. Spread oil in bottom of skillet. Place biscuits in skillet. Pour sausage mixture over biscuits. Top with remaining 1 cup cheese. Bake 25 to 30 minutes or until egg mixture is set and crust is deep golden brown. Cool 5 minutes before serving. Veggies seem to be particularly on trend right around January when everybody’s trying to stick to some sort of new and better eating regimen. 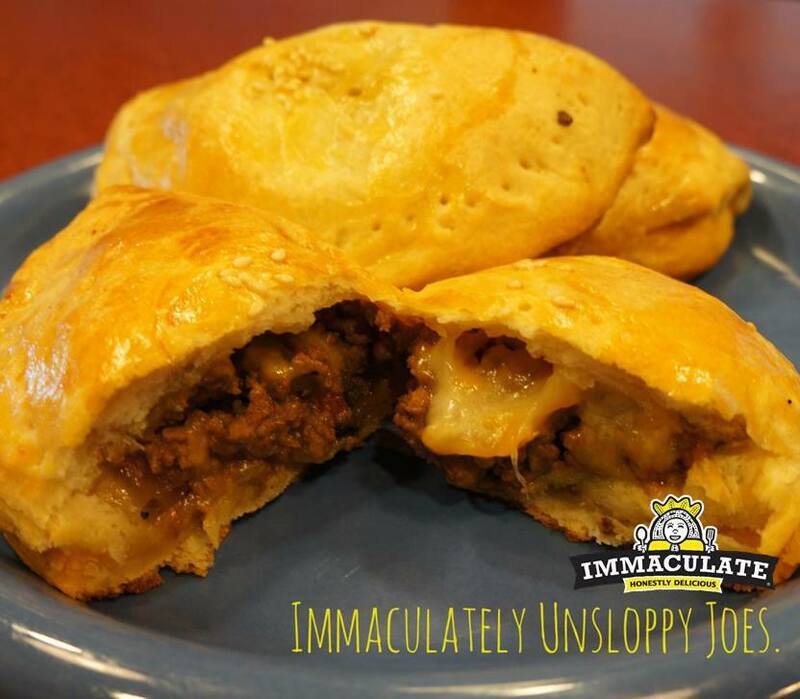 Well, you’re on the Immaculate Baking blog, so you know the only regimen we care about is wholesome yumminess! So of course we’ve got some Immaculate veggie variations that you can dig into and still feel great about, even in January! I had a sudden craving for anything with squash puree, and wanted to get a bit creative with how I’d be able to pair it with our Immaculate goodies. 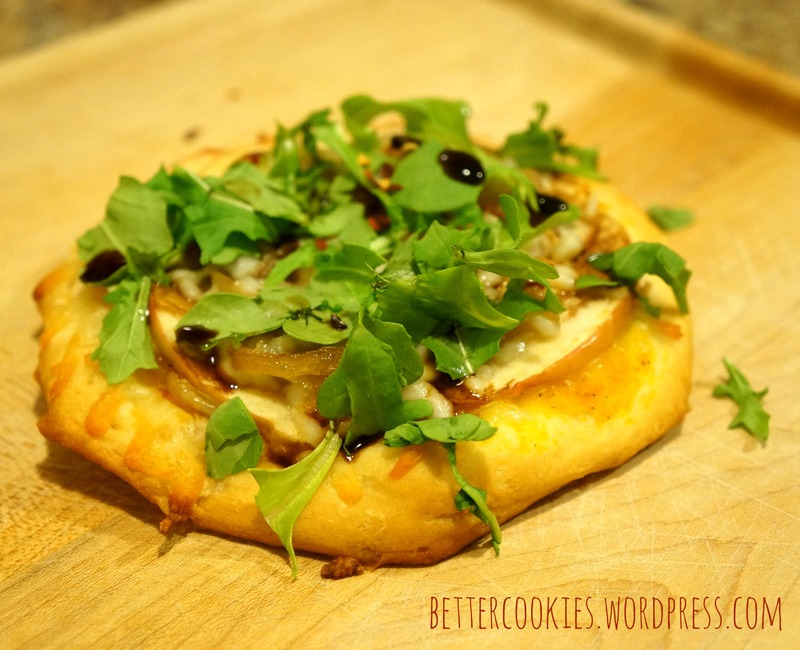 After some quick keyword search, my brainchild emerged as this Winter Squash Veggie Pizza! If you really thought about it, breakfast should totally be every person’s favorite meal of the day. First of all, you can technically eat as much as you can at breakfast, because if you front-load your calories, you at least have the rest of the day to burn them off. Well, of course, the hope is that you’re also front-loading a ton of nutrients and goodness, so that you’re getting the energy you need to get through the day. 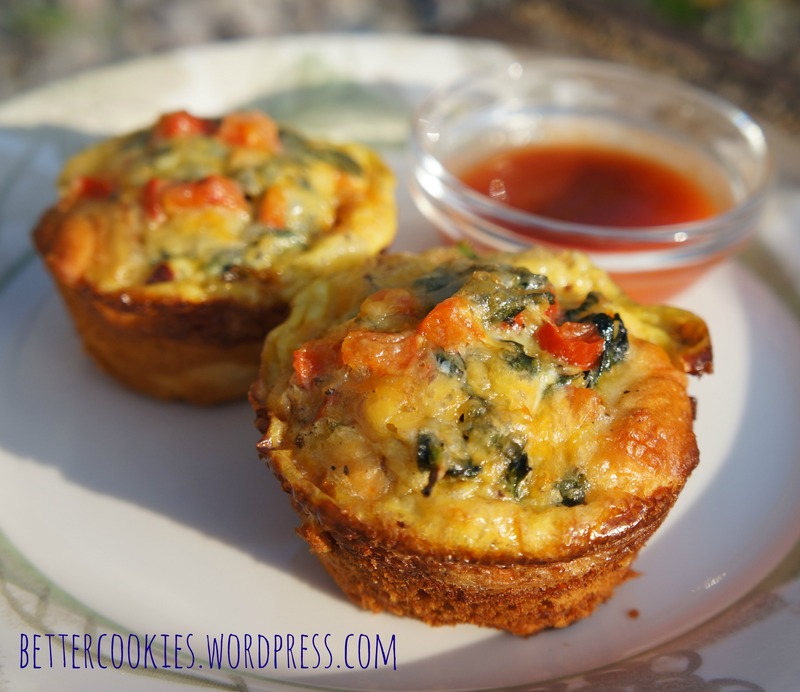 No wonder breakfast is the most important meal of the day – you get to do some serious chow down guilt-free 🙂 Those breakfast skippers are really missing out, especially when there are a ton of delicious variations, like this one: Vegetarian Breakfast Egg Cups.